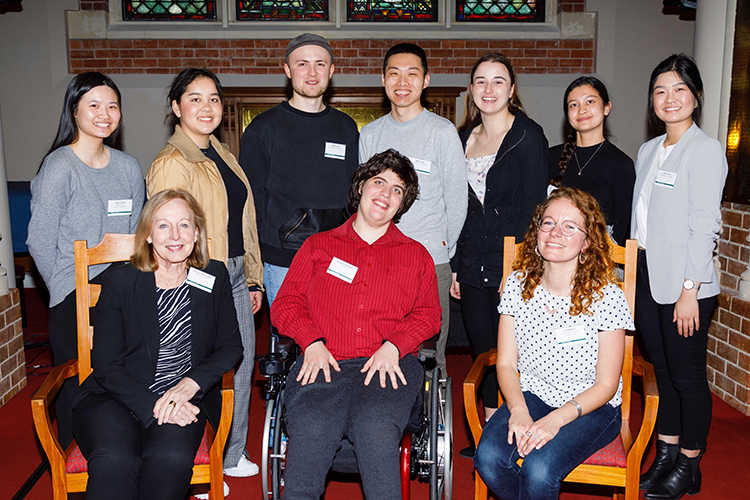 Nina Hogg (left) and Ben Linstone (second from right) founded the Victoria House Enviro Group to give back to the community and raise awareness of environmental issues. University is a time when you have the opportunity to decide how you can give something back to the world you live in. However you choose to do it, there is no feeling quite like knowing that you are volunteering to make a difference. 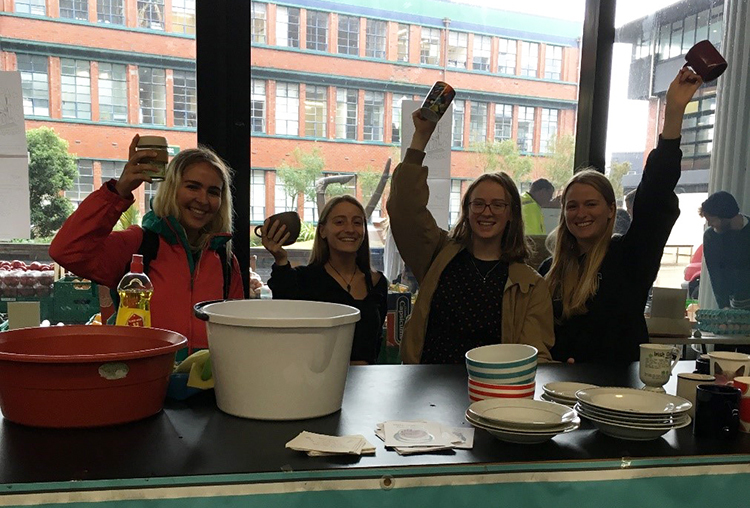 We started Victoria House Enviro Group not long after we moved into the hall of residence last year. As we’d never lived in a hall environment before, we wanted to foster a community where taking care of our environment. Our goal was simple: raise awareness about the issues threatening our environment. We wanted to ensure that students leaving Victoria House would have a greater appreciation for how they can respect nature, while improving the hall’s processes to better care for the wider Wellington environment. 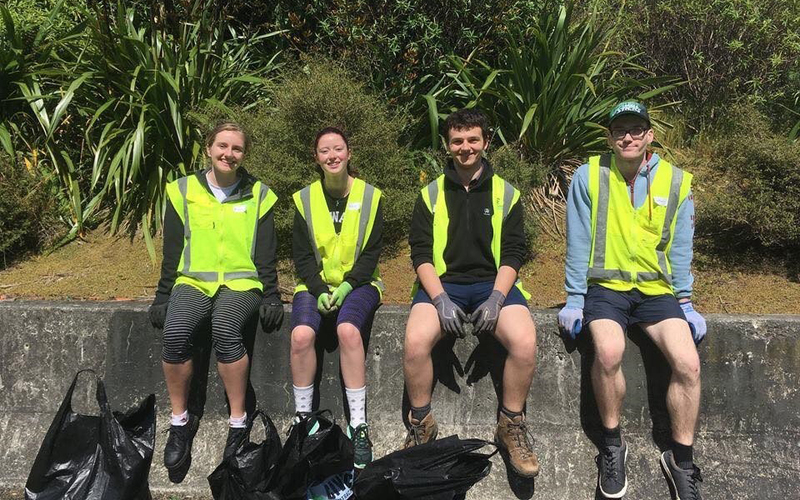 The project gradually gathered support and volunteers as we created connections with environmental groups across Wellington, and more and more students chose to donate their time and effort to give back to the beautiful ecosystems that make up our city. Getting students to volunteer at 8.30 am on a Sunday morning is not easy. Even worse is telling them there’s a 45-minute walk to get to the destination. In the rain. But nature doesn’t get a break from the monumental changes that are happening in our lifetime, so we as a group decided a little wet weather wouldn’t deter us. 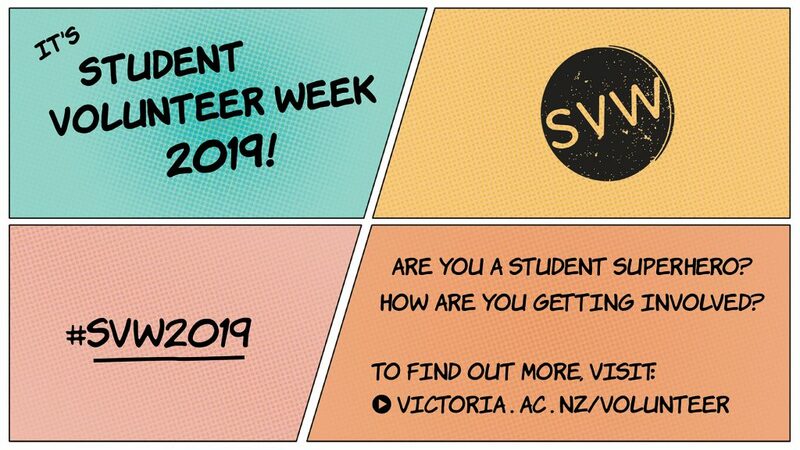 Every second week we created a volunteering opportunity for the students in our hall, whether that was cleaning up a local park or beach, hand weeding at Bolton Street Cemetery, or working with conservation volunteers on their Forest at the Heart of Wellington project. 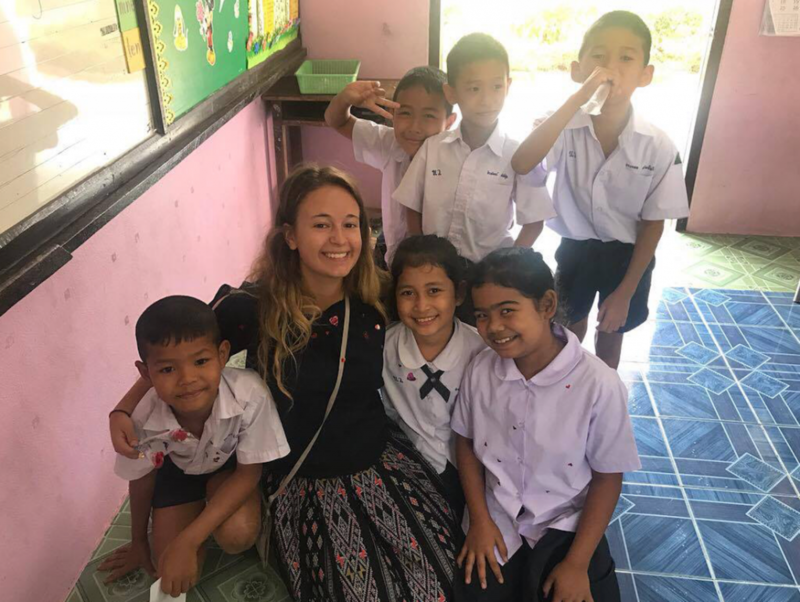 We also wanted to raise the level of understanding about issues that are affecting our world by screening environmental documentaries and offering workshops on plastic waste reduction. We fundraised $250 selling multi-use metal straws and used the funds to create a green space within the hall for all to share. This garden is our legacy and was a chance to give residents a place to retreat into nature, something that both of us would have loved in our first year. We have now left Victoria House and the responsibility of the Victoria House Enviro Group falls to the next cohort of residents who have taken it up with incredible enthusiasm and dedication. We still volunteer with environmental causes across Wellington and being able to see from our flat window the beginnings of a forest on Mount Victoria that we helped to plant fills us with pride. 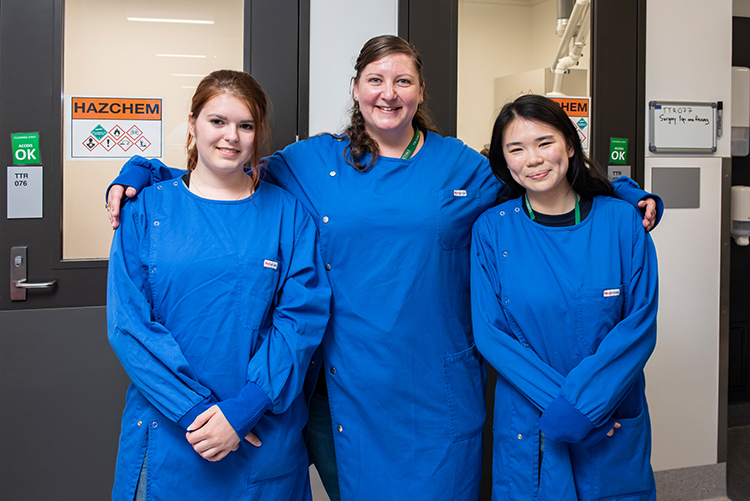 In 20 years’ time, we’ll be able to go back there and see it fully established, knowing we were a part of something that will benefit the whole of Wellington for years to come. Ben Linstone is a science student majoring in Ecology and Biodiversity. Nina Hogg is an arts student majoring in English Literature and Theatre.